For the first time ever, and for a brief moment in time, two knowledgeable and highly credentialed public figures have commented on the fact that psychiatric medications cause violence and must be considered suspect in the case of the Newtown shooter. But then, as if it never happened, and as if psychiatric drugs could not possibly be implicated in violence, the issue was dropped by the media. Fortunately I happened to be watching television on both CNN and Fox Cable News shortly after the Newton tragedy and I have put the TV clips onto YouTube. We still don’t know much about the shooter who lived in this home. But there is something else to consider: What medications if any he was on? I’m specifically talking about antidepressants. If you look at the studies of other shootings like this that have happened, medications like this were a common factor. Now I want to be clear I’m not saying that antidepressants can’t be effective. But people seem to agree that there is a vulnerable time. When someone starts these medications and when someone stops could lead to increased impulsivity and decreased judgment, and making someone out of touch. None of this is an excuse and it’s never just one thing. None of these behaviors will fully predict or explain why. But soon again there will be hindsight that might just help prevent another tragedy. It’s worth pointing out over a seven-year period there were 11,000 episodes of violence related to drug side effects. If there was a death involved, often it was the individual of himself or herself, a suicide. Gupta doesn’t say where he got the figure of 11,000 drug-induced cases of violence. However, that exact unconfirmed estimate has circulated on the Internet in regard to violence reports to the FDA. Acts of violence toward others are a genuine and serious adverse drug event associated with a relatively small number of drugs. Or we put them on severe medications. One of the students in the Columbine shooting was on severe medication and apparently there’s analysis that it probably even contributed to his destructive aggressive behavior. Combined with Sanjay Gupta’s remarks, these observations by former Secretary of Homeland Defense Tom Ridge should elevate psychiatric drug-induced violence to a new level in public discourse. Ridge’s characterization of the medication prescribed to Eric Harris as “severe” was incorrect. Harris was prescribed routine antidepressant treatment. As a medical expert in cases surrounding Eric Harris and the Columbine shootings, I obtained the drug company’s official report to the FDA on March 17, 1999 confirming that one of the two shooters (Harris) had a “therapeutic blood level” of the antidepressant Luvox (fluvoxamine) in his system. Luvox is similar to other well-known antidepressants, including Prozac (fluoxetine), Paxil (paroxetine) and Zoloft (sertraline) in its effects. As a medical expert, I also had access to medical records and can confirm from these unpublished documents that Eric Harris was taking Luvox regularly for one year leading up to the shootings. The dose was increased 200 mg per day on February 9, 2009, two and one-half months prior to the April 20th assaults. He saw his doctor and his prescription was renewed on March 13, 2009. At that time, the medical record described him as suffering from medication-induced tremors, indicating a degree of toxicity. I first began writing about the risks of violence associated with antidepressants in the early 1990s in Talking Back to Prozac (coauthored by Ginger Breggin). I specifically addressed Eric Harris’ use of Luvox in my book, Reclaiming Our Children: A Healing Solution for a Nation in Crisis (2000). I also about Eric Harris and Luvox-induced violence in a peer-reviewed scientific article titled “Fluvoxamine as a cause of stimulation, mania and aggression with a critical analysis of the FDA-approved label” (2001). With the exception of the disclosure of Eric Harris’ toxicology report, it has been very difficult to obtain exact information about the psychiatric drug exposure of previous mass murders. For example, James Holmes, the Aurora, Colorado shooter was in treatment with psychiatrist Lynne Fenton in the months before he assaulted people in a movie theater. He mailed a box of materials to her shortly before committing the violence. A court hearing recently revealed that four prescription bottles had been removed from his home. Yet to this day information has been withheld about what psychiatric medications he was almost surely taking. Similarly, there are unconfirmed reports that Newtown mass murderer Adam Lanza was taking psychiatric drugs. According to the Washington Post, he was, “A really rambunctious kid, as one former neighbor in Newtown, Conn., recalled him, adding that he was on medication.” Yet no information has been released concerning his medication use. 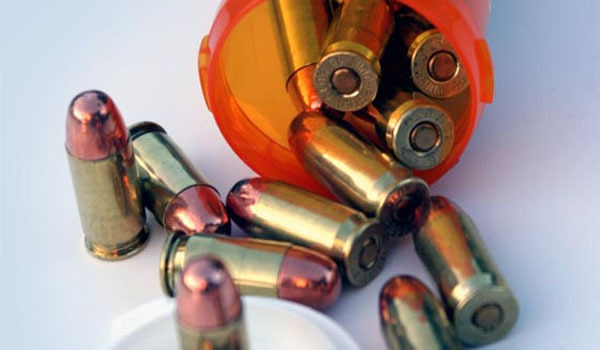 Psychiatric drugs, including antidepressants, stimulants and tranquilizing sedatives, can cause violence. It is imperative to find out what, if any, psychiatric drugs were being taken by twenty-year old Adam Lanza in the Newtown elementary school massacre. Can anyone believe any of these people concerning their allogations and their total lack of specific information concerning any of the so called psychiatric drug. None of the information put out by the media concerning the terrable shootings can be trusted.